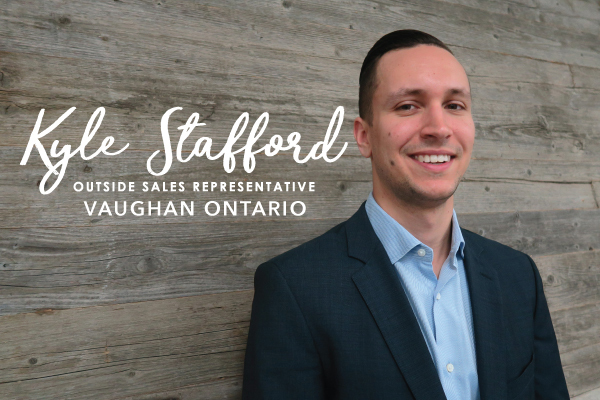 Kyle Stafford is an outside sales representative in our Vaughan, ON branch. He joined the McFadden's team in 2012, starting on the inside sales team before moving to an outside territory. Metallica at Copps Coliseum in Hamilton, ON. I’m a huge PC gaming fan – I also custom built my own computer! Last show you binged watched on Netflix? What's a interesting skill you want to learn? I'd love to be fluent in another language. How long have you been with McFadden's? Almost 5 years now – I started here right out of University!